How does Siphon Coffee Work?Siphon coffee is not too complicated it is just a few steps. First we boil water in a glass bulb. Then we add fresh ground coffee in another glass compartment which is connected to the glass with boiling water. The water which is in the lower glass bulb will begin boiling and push its way up into the siphon upper glass container. Now we just stir for about a minute and then the heat is removed. When the heat is removed the coffee will be transferred back to the lower glass bulb. There is a filter which will help prevent the grinds from coming with the coffee. Why does Siphon coffee taste so good?Siphon Coffee is good because it is a unique process in which careful attention is required to brew a cup. 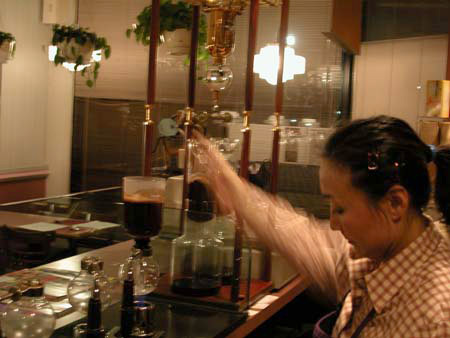 Siphon is special because it is one of the only methods of brewing coffee which extracts full flavor of the grind. 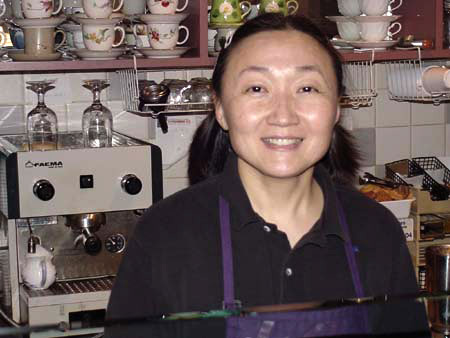 How does the ice coffee machine work?The ice coffee machine is a twelve hour process. The water which is room temperature or cold is added to the coffee grind. But it is added very slowly at a pace of about one drip of water per second. The water then permeates through the grind slowly. The slow dripping water process helps to capture flavor and extra concentration. This process is unique in that the ice coffee is never heated and can be served chilled or with ice. 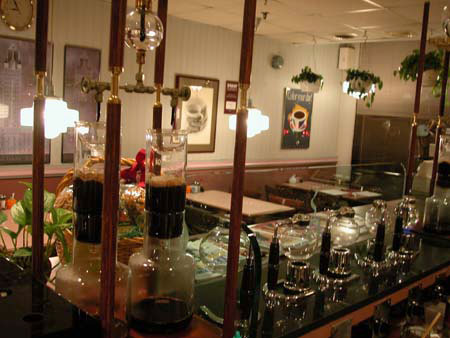 Is this the only place in Philadelphia that uses Siphon Coffee process?YES! Where did you come up with this idea?30-35 years ago Taiwan already had this type of coffee shop. 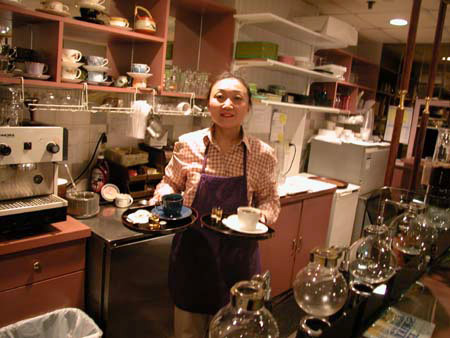 So while I was growing up I remember seeing these kinds of cafes. 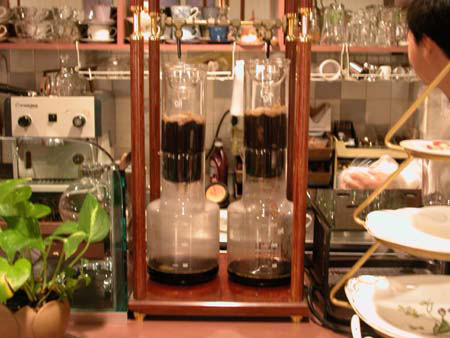 Where is this siphon machine from?Our machines are from Japan but I hear the origin of the process may be from a German Coffee maker. Who is Ray?Ray is our family surname. 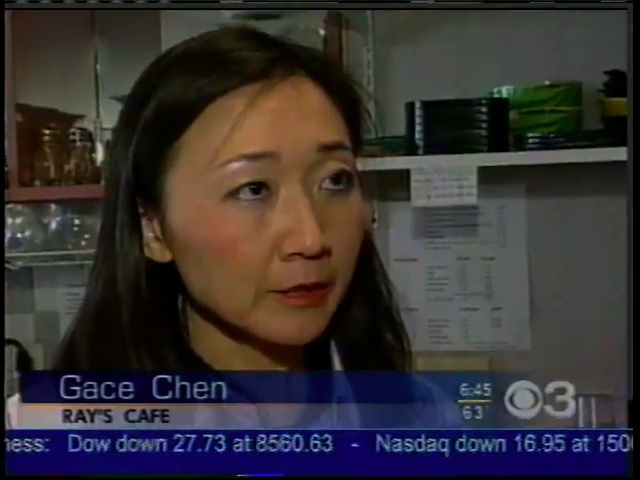 Grace Chen and Randy Ray are interviewed by Channel 3 News.